Holllywood Land is themed to California's most famous industry: Hollywood. The main street is replicates Hollywood Boulevard with its swanky stores and movie theaters. To the left as you walk down the street is the actual studio backlot where you'll find the Muppets and Monsters, Inc., (as well as some soundstages not being used for much). Off in the other direction is the Hollywood Tower Hotel where things just never go right. Location: To the left as you enter the park. Disney Animation Four different rooms offering different shows and experiences. Monsters, Inc.: Mike and Sulley to the Rescue Take a tour of Monstropolis as Mike and Sulley try to get Boo back home. Muppet*Vision 3D Things go wrong at the Muppet labs in this 3D film. The Twilight Zone Tower of Terror A well-themed drop ride that does more than just throw you over the edge. Disney Junior - Live on Stage! A show starring your favorite Disney Junior television characters. Award Wieners Gourmet hot dogs. Studio Catering Co. Chips and drinks. Gone Hollywood Hollywood and movie related souvenirs. Off the Page Disney movies and animated film artwork. Studio Store Muppets and Monsters, Inc., toys as well as general small souvenirs. Tower Hotel Gifts Twilight Zone, Hollywood Tower Hotel, and Nightmare Before Christmas souvenirs, also purchase ride photos. Here you will find a list of selected rides, shows, or restaurants that have been removed fromHollywood Land, never to return. Disney Dance Crew Two dance crews compete until a surprise guests brings them together. 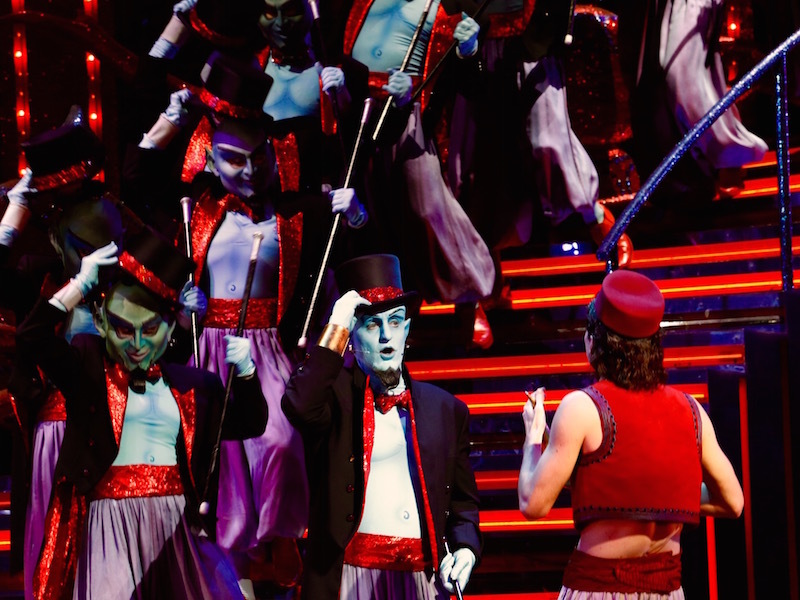 Disney's Aladdin - A Musical Spectacular A large-scale full-stage production of Aladdin. Drawn to the Magic A musical show for children culminating in a three character meet and greet.